Inspired by this photograph and the recent Knit in Public Day, I’ve been taking my knitting everywhere as an experiment. Let me first tell you a bit about the picture. I came across it whilst looking for images of Shetland hap shawls so I could see what kind of edging they had on them. I found it in a blog post by The Sweaty Knitter, a superb knitting blog full of intelligent criticism and knitterly reflection. It is from the Shetland Museum and I had a lovely time trawling through their collection of photographs. 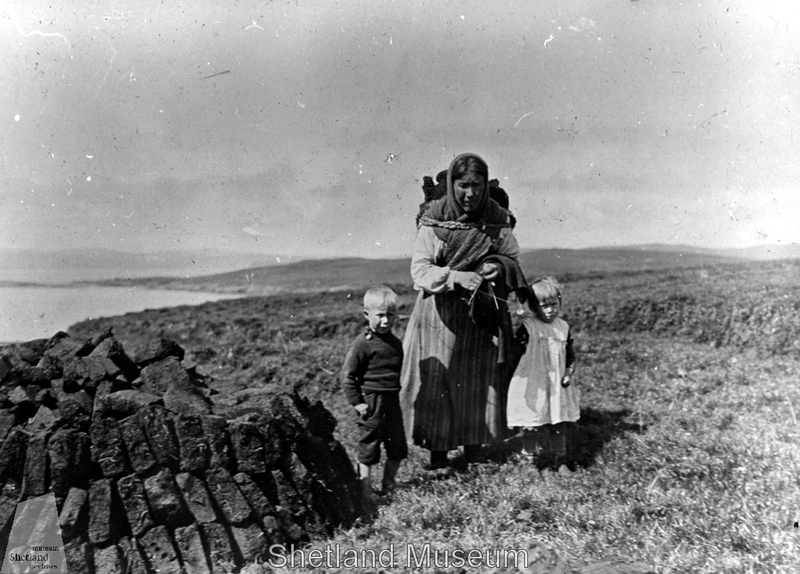 The image is titled “Peats, Marrister, Whalsay” and photographed by C. Stobie in the 1900’s in case you want to find it again. It shows Mrs Anderson knitting, whilst carrying peat and looking after her two children Jannie and Magnie. Her wee son is wearing a knitted peerie gansey with a side opening. She is clearly working her arse off and barely subsisting. She is not knitting for pleasure but for groceries because that was all her knitting was valued despite the high prices Shetland lace fetched on the mainland. Her skill and labour were exploited by middle men for profit, gross profit. I knit for pleasure and because it calms and beguiles me…my experiment was just in multitasking. I knitted on the way to school, queuing for Lebanese spinach triangles, waiting at pickup for school and kinder and at people’s houses. I knitted through an abortive winter camping adventure. 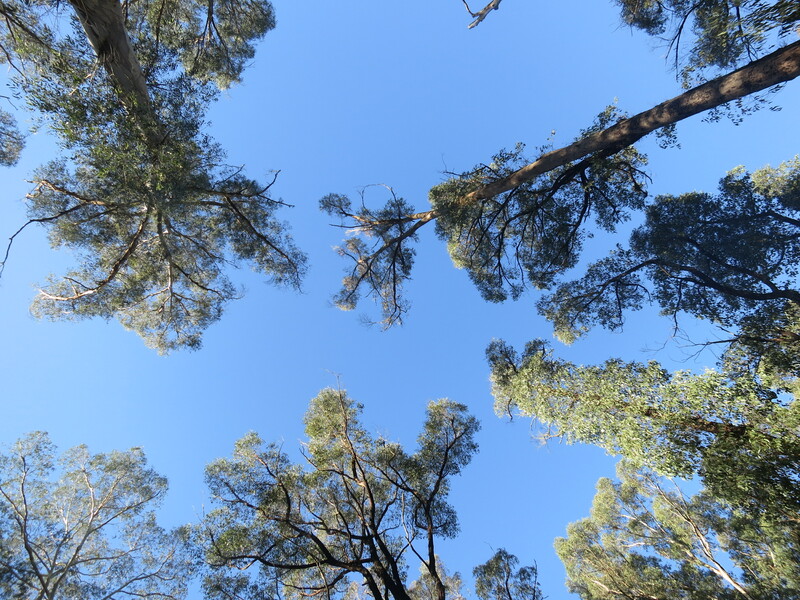 We came home because I was really a bit too sick to be camping…it was so beautiful though. People will share with you lovely memories they have of their mothers or grandmothers knitting or how they used to knit. 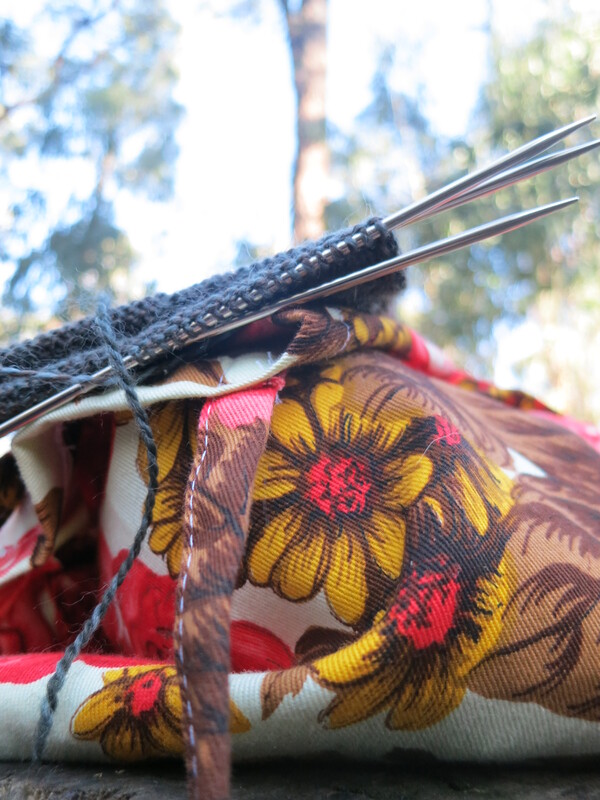 It is very easy to loose a double pointed needle if you are taking them everywhere. I lost mine in the car for half a day and only found it again after a very thorough reconstruction of the day. You cannot knit and supervise children on bikes. It is very pleasant to have my knitting with me always even if I do not get to actually do the knitting. Perhaps it is not necessary to fill every moment of the day with productivity because unlike Mrs Anderson in the picture I do not have to make ends almost meet. Even though socks have such tiny stitches, they seem to grow magically through the walking method. Double pointed sock needles are very sharp and more than a little dangerous. Mrs Anderson didn’t have to worry about traffic. Rest in peace Mrs Anderson. wow. Mrs Anderson reminds me how indulgent my knitting is in comparison! My family (long ago) are from the Shetlands. it was my feverent hope for a bit of Shetland lace, or even just wool to make it’s way over on one of the visits my parents made back, but never to be! Love this post! As a multi-tasker, I can appreciate this so much. Your knitting progress pics are fantastic! Thank you for telling us about the knitter and her children! This is lovely Rebecca – Oh, I hear a PhD calling you…. I once saw a passerby wearing a fabulous colourful long draping scarf ( very Tom Baker’s Dr Who) and then I noticed that she was knitting one end of that very scarf as she was walking. 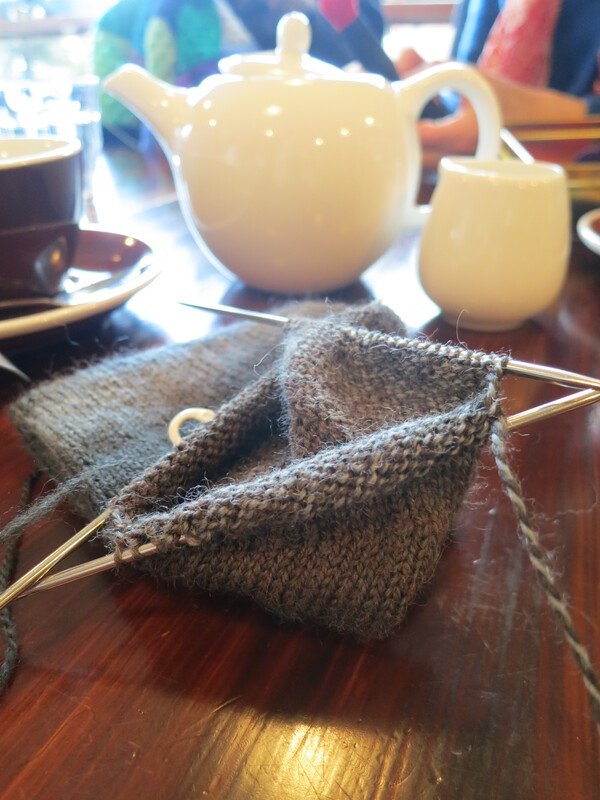 It’s interesting to hear your thoughts of knitting whilst out and about. I hope there was something for Mrs Anderson that would give her times of pleasure and calm. You can see why gin would have been popular!